No matter the line of work, if you do it for long enough, you’ll have plenty of “war stories” to tell the younger people in your workplace. This week marks 20 years since one of my all-timers. 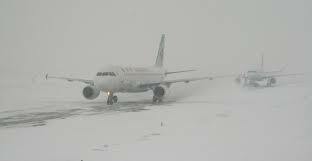 I was representing an airline when 7,000 of its passengers were stranded on its planes for up to 8 hours after a blizzard had quickly dumped nearly a foot of snow on Detroit. It was a tale of customer service woe that will live in infamy, for as long as case studies are written. Without regaling you with the full story, I will share two important takeaways from the ordeal, upon which I regularly call. First, the frequently-used term, then and now, “PR Nightmare,” is a misnomer. What happened with the client in the first week in January 1999 was incredibly challenging for the in-house and agency PR staffs that had to deal with it. The stories from customers, and even employees, on what it was like on those planes, several of which were delayed for many hours before flying to Detroit and then had to sit for hours on end because gate areas were covered in snow, were atrocious, and this was before social media and the ubiquity of cell phones and digital cameras. But, this situation was not inherently a PR problem. It was a colossal airline and airport operations disaster. Look at every story described as a “PR Nightmare” and you’ll see the same scenario. It’s not like PR people stormed the airlines operations center and demanded “Send all of the planes to Detroit even though the airport can’t handle them!” But we had to deal with the effects. That’s how it works and it’s sometimes our jobs to remind client executives of how situations came to be. Second, in times of crisis, the fundamentals of communication serve businesses well. Once the magnitude of situation became evident, there were no excuses. There was no dodging responsibility. I was a part of a team, with some of the best professionals I’ve ever encountered, who stuck together on the same page, whether it was to 20/20 or the local paper. But it was more than words that eased the pain. The airline had to prove, over and over again, that it learned from its mistakes. For the next two years, every time it snowed, we proactively showed and told the public, via the media, how the operation was responding. I often joke that time was “some of the best professional experience I never want to have again.” But the fact is that we all learn from indelible moments in our careers. In some ways, I have that experience all the time, as it’s front of mind during the most testing client crises.